One aspect of Azure Functions I found intriguing is that each function contains both its code, and a description of the environment it is expecting to run in, contained in its function.json file. What’s interesting about this, is that as a result, scanning a function app (a collection of functions) provides a fairly complete self-description of the application and its environment, which we should be able to visualize. In this post, we’ll explore that idea, and sketch out an approach to automatically generate diagrams, visualizing bindings and code dependencies for a code base. We will only support a subset of the full functionality available in Azure Functions, mainly because we are lazy, and create graphs such as the one below, using F# and GraphViz. What we have here is a function app that comprises two functions, foo and bar, identified by their containing folder name. Inside each function folder, we’ll find some code files, exactly one function.json file describing the function bindings, and possibly a project.json file listing package dependencies. The bindings describe how the function interacts with the environment. Each binding has a type (what type of resource is involved), a name (how the resource appears as a named argument in the function), and a direction (in or out). One of the bindings is a Trigger (causing the function to run), identified by a type ending with Trigger, as in timerTrigger. Finally, depending on the type of resource, additional information is provided, for instance a queue name and storage account connection. So what we want to do here is extract out the information we care about, to create a GraphViz file that we can then process to produce a nice visualization. GraphViz uses a simple format to represent graphs, which can then be rendered using various graph layout models. A GraphViz model comprises nodes and edges. In our case, we have 3 types of nodes (functions, bindings and packages), and directed edges, representing the direction of the relationship. We also want to distinguish between Triggers and basic in bindings. I will assume here that we have a local clone of the Function App, and will use fsibot-serverless as an example. In that case, all we need to do is iterate over the directories. If a directory contains a function.json file, it is a function, named after the folder. 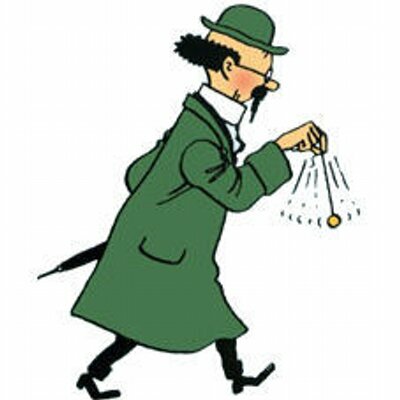 let root = @"C:/Users/Mathias Brandewinder/Documents/GitHub/fsibot-serverless/"
It appears that we are in business. Now that we have folders that correspond to a function, let’s extract the bindings from the function.json file. There are 2 parts to the task: grabbing data from a JSON file, and transforming it into some representation for bindings we can work with reasonably easily. We will limit ourselves to a small subset of the available bindings, and explicitly handle only Timers, Queues and Blobs. Every binding can be decomposed into 2 parts. We always have 3 properties, name, type and direction, and, depending on the specific resource, we have some additional information available. A binding can be only one of 3 things: a trigger, an in- or an out-bound binding. This is a natural fit for a Discriminated Union, Direction. Each Binding will contain the three fields that are guaranteed to be present, and we will store all the extra information as key-value pairs in a Map, associating the property name and its value as strings. |> fun elements -> elements.GetProperty "bindings"
Everything appears to be working so far - let’s move on. |> fun elements -> elements.GetProperty "frameworks"
|> fun elements -> elements.GetProperty "net46"
|> fun elements -> elements.GetProperty "dependencies"
At that point, we have all the pieces we need: from a directory, we can extract all the potential functions, their bindings, and the packages they depend upon. All we need to do now is generate a file that follows the format GraphViz expects, and we are done. Given a root folder, we identify all possible functions, and then proceed to extract two lists of pairs, one for bindings, associating a function name and a binding, and one for dependencies, associating a function name with a package. 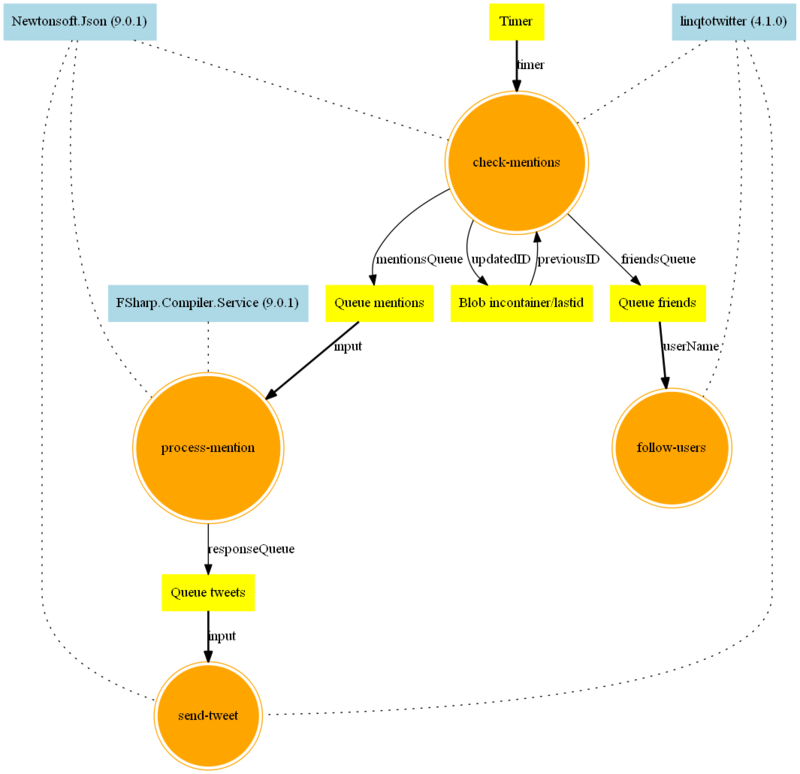 All we have left to do now is going over the data in an AppGraph, and creating a GraphViz file, containing 3 types of nodes (functions, bindings and packages), and 4 types of edges (triggers, in and out bindings, and dependencies). let indent = "    "
Nothing particularly elegant here - we pickup unique function names from the bindings we identified, format them consistently, and pre-pend formatting information for these nodes (the node [shape=circle,style=filled,color=yellow] in our earlier example). I’ll skip the rendering of the other nodes, which follows exactly the same pattern. sprintf "%s -> %s [ label = %s ]"
Trigger = "edge [ style=bold ]"
InBinding = "edge [ style=solid ]"
OutBinding = "edge [ style=solid ]"
Dependency = "edge [ arrowhead=none,style=dotted,dir=none ]"
That diagram could be improved, of course, but as is, I find it pretty informative already. First, we get immediately a decent overview of the application flow, from check-mentions to process-mention and send-tweet. We can also spot some sort of state persistence happening in check-mentions, with updatedID being pushed to a blob, and previousID being pulled back out from the same blog. We can also see that 3 functions rely on linqtotwitter, whereas process-mentions (where code is being run through the FSharp Compiler Service) has no direct relationship to Twitter, and could perhaps even be isolated into its own App. That’s as far as I will go on this for now. Before closing, I wanted to comment on a couple of things. First, while this doesn’t support all the available bindings, it shouldn’t be very hard to add most of them - most of what is needed is adding the missing cases in bindingDescription, to format them adequately. One case that might end up being tricky is bindings that refer to each other (for instance, reading from a table based on a queue message). Along that line of thought, one potential issue here is that nodes are identified by their name, but name collisions are possible. The identity of a binding comes from its type, and its “additional fields”. 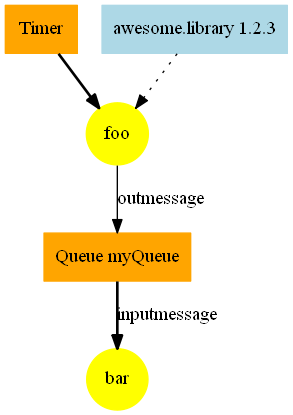 As an example, queueName doesn’t uniquely identify a queue; I could have 2 queues with the same name, pointing to a different storage account, but with this implementation, they would appear as one node on the graph. Beyond that, it could be interesting to extend the graph, and include a few more pieces of information. As an example, we could represent what storage account each of the Azure Storage bindings belongs to, to clarify dependencies. We could also represent precompiled dlls, in a fashion similar to package dependencies. As it turns out, both ideas didn’t work very well. In the end, the DUs didn’t seem appropriate - because they are closed, whereas bindings are extensible - and they added a lot of friction. The Type Provider didn’t fit very well either, and in the end, representing bindings essentially as a bag of string pairs turned out to be much easier. Finally, I wanted to give a quick shout-out to @thoriumi, who has done some work wrapping up GraphViz from F#.